War and war. And war and war. I no longer care if I die, said Korin, then, after a long silence, pointed to the nearby flooded quarry: Are those swans? Korin is a troubled archivist in a small town in Hungary. He finds an antique manuscript that he believes must be shared with the world, so he travels to New York City in order to get online and post it where everyone can see. Is Korin crazy? Or visionary? Is the manuscript as magnificent as he believes? The layers of the story move from a travel agency in Budapest to a flophouse in NYC to the palace of ancient Phaistos to a small Swiss museum in Schaffhausen, as Korin seeks to deliver his manuscript to the world. Lefkosia (aka Nicosia) is, quite famously, the world's last divided capital, spelled Λευκωσία in Greek and Lefkoşa in Turkish. An island nation sitting at the crossroads of history in the Mediterranean Sea, Cyprus has seen more than its share of political struggles. Lefkosia is also home to an amazing bookstore, the Moufflon Bookshop. That's where I picked up my copy of Ledra Street by Nora Nadjarian, a collection of short stories that explore the lives of ordinary people living in an extraordinary place, watching politics play out in ways small and large, comic and tragic. Choosing an author of Armenian heritage who writes in English for the #worldreads challenge was my way of avoiding "the Cyprus problem." There is a document at the center of Secrets, a novel by acclaimed Somali author Nuruddin Farah. It first appears as part of a childhood prank, albeit a serious one. Then it disappears for long stretches of the story. Later, when it reappears, it changes the life of the book's protagonist, Kalaman. I can't bear the thought of generalizing. I am a person, a clan is a mob. Talk to me, sell me things, I am reasonable. Clans are not. Walk into any bookstore in Istanbul, wend your way to the English language aisles, and you'll find every variant of Rumi known to humankind, Orhan Pamuk by the dozen, and a goodly portion of Elif Shafak. All of them, wonderful writers to represent Turkey on this worldreads challenge. But I'd read them all and was looking for something new. What luck that I chanced upon The Bridge of the Golden Horn by Sevgi Emine Özdamar. The narrator at turns works in a Berlin factory with other Turks, acts in a Brechtian theater in Istanbul, joins the Communist party, and along the way smokes a remarkable number of cigarettes. It's a coming-of-age story that captures the life of one young migrant worker, but also the zeitgeist of 1960s. When I started this worldreads challenge, I thought I'd only read fiction. I write fiction, after all, so of course I'd want to meet fiction from all over the world. Also, it's so often easier to tell truths in fiction. But when a friend from Chile recommended Isabel Allende's My Invented Country as the must-read book to get to know her country, I couldn't resist. It's not Allende's first memoir, so she doesn't feel compelled to tell facts as they happened. Instead, she tells her own truths as she remembers them, embracing the subjectivity of memory and the hypnotic power of nostalgia. After so many years of exile, she finds herself as much a stranger when she returns to Chile as she somehow always is in her new adopted country of California. 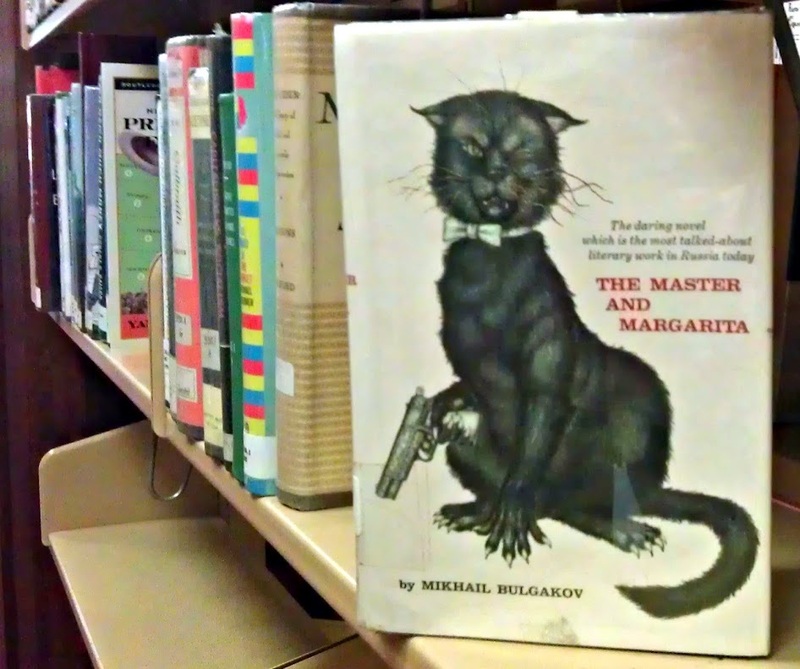 Let me begin by saying just how much I loved The Master and Margarita by Mikhail Bulgakov. Brilliant. Imaginative. Madcap. Unpredictable. Behemoth the black cat who cheats at chess and can't shoot straight may be one of my all-time favorite literary characters. Bulgakov was simply a Soviet citizen back in the not-so-long-ago days of the Soviet Union, a country that no longer exists. It's worth a taking moment to consider how something that seems so permanent as a "country" or a "nation-state" can disappear overnight. I'm sticking with The Master and Margarita as my official book from Russia. Bulgakov was ethnic Russian and he wrote the book in Russian. Not to mention the fact that Russia took over the Soviet Union's seat at the UN in 1991 and no one appears to have kicked up a fuss. The good news is I'm now on the lookout for a great writer to represent for Ukraine. I never said I was going to read only Great or Important literature on the #worldreads challenge. One book per country, that's all I promised. So Headhunters by Norway's own chart-topper Jo Nesbø was book number 2. A fun little romp to be sure, and it had some depth. An amoral headhunter of the corporate variety (Corporatus headhunterus) living a lifestyle beyond his means gives us an inside view of his craft, and we learn that the most important quality for being CEO of a major corporation is height. The more you've got, the higher you'll go. An outsize ego and good taste in art doesn't hurt either. I found my copy at my local Out of the Closet thrift store, which keeps a surprisingly good collection of books. Tucked in between the fifty variants of the #1 Ladies Detective Agency and thirty year old Velveeta cheese food cookbooks. I knew it was going to be a bit of challenge to read one book from every country in the world. Between now and the grave, I only have a limited number of hours to set aside for reading. What I didn't expect was the roadblock I hit on day one of the challenge when I tried to count up how many books I'd have to read. Depends who you ask. There are 193 members in the UN. But that leaves out countries like Taiwan and Palestine, and they publish some good books in both those places. The CIA book of knowledge lists 267 "world entities," which gives them plenty of choices of things to overthrow, topple or otherwise depose. However, it includes places like the uninhabited Palmyra Atoll, now wholly owned by the Nature Conservancy. 205 countries participated in the 2012 London Olympics. Maybe that's a nice in-between compromise? now-defunct Deutsche Demokratische Republik, where I bought a Russian-English disarmament dictionary. For now, I've decided to start with the countries everyone agrees is a country. There are plenty of those, and I can sort out the more esoteric places later. Should keep me busy for a while. 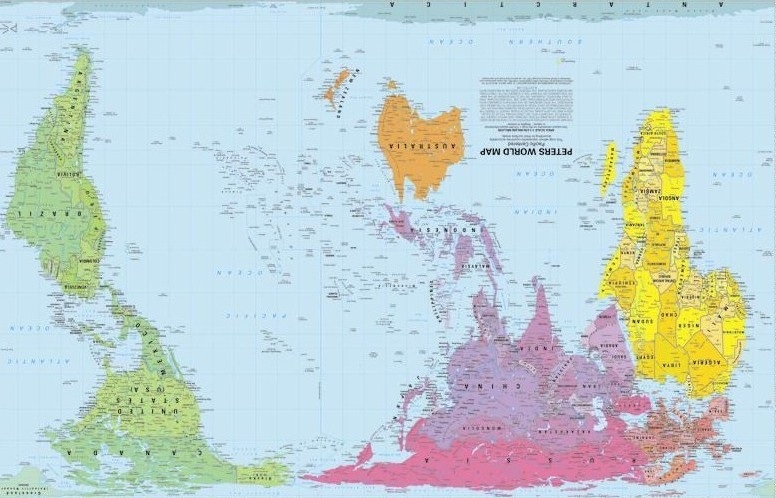 How long would it take to read one book from every country in the world? Is it even possible? I'm going to find out the answer. I love to travel and I love to read. A couple of weeks ago I made a list of all the countries I've been to. If I count all the countries where I've even spent a few hours layover, it comes to about 45. Which sounds like a lot, right? Think again. There are 193 member states in the UN, which means if I use that count (more on this later) I still have something like 150 more countries to go. Even if I were to travel to two new countries every year, I won't see them all before I die. Which of course got me into the double-helix downward spiral of brooding about my own mortality AND the how little of the world I'm going to see. But as readers know, books can take you anywhere. There's another thing too. Jane Smiley has written that "Reading fiction is and always was practice in empathy - learning to see the world through often quite alien perspectives, learning to understand how other people’s points of view reflect their experiences." In today's troubled world, empathy and understanding are in far too short supply. So I decided to travel climb aboard a book and travel. 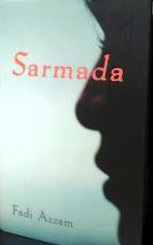 Book one on the #worldreads challenge was Sarmada by Syrian author Fadi Azzam. I've had the good fortune to visit Syria. It's a beautiful country of wonderful people. My heart breaks for the people living through the civil war there. One day again there will be peace. In the meantime, I'll recommend Sarmada as a book that will give you an opportunity to explore the unexpected diversity of village life and a transition to the modern world, leavened with a touch of magical realism.